Have fun bringing in the new school year. Make a photo booth and use these cute signs to document the year. Living Locurto has some amazing photo booth ideas! 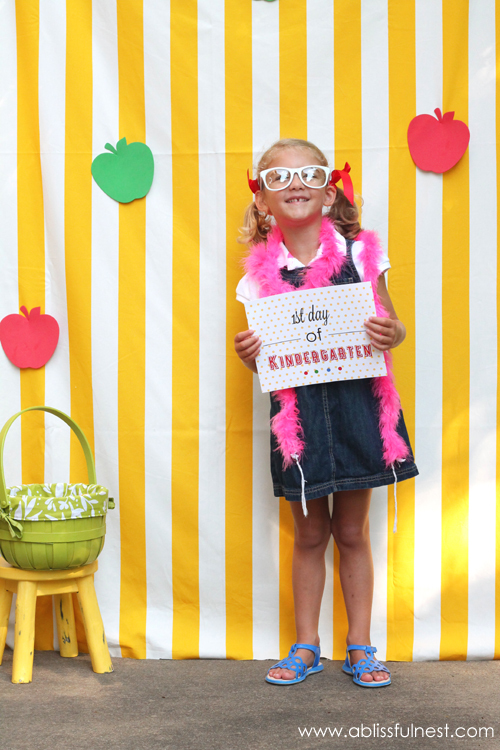 Click here to get this FREE 1st Day of School Printable from Living Locurto/A Blissful Nest.